No one likes being covered in sweat, especially after exercising once you’ve begun to cool off. That’s why Novel Tees has a huge range of personalised CoolDry singlets available, designed to keep you comfortable no matter how hard you work out. 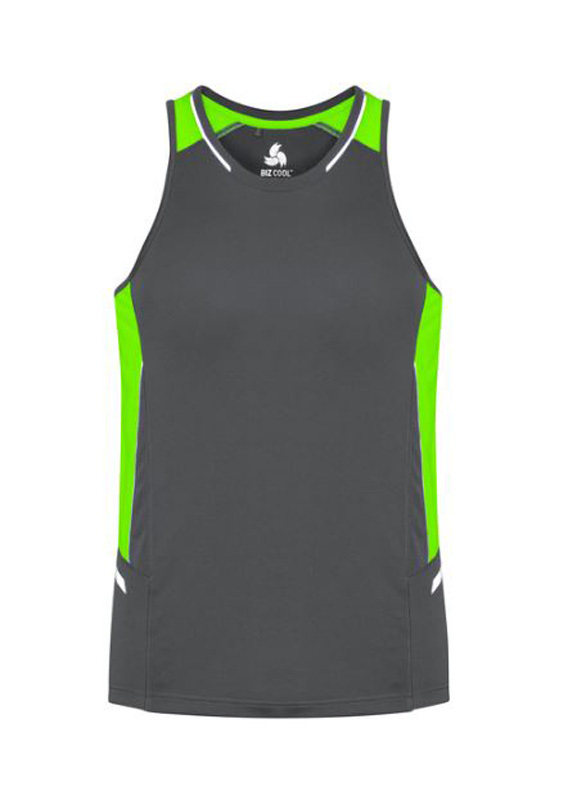 These custom CoolDry singlets are made from an innovative fabric that allows your body to breath, so you sweat less. 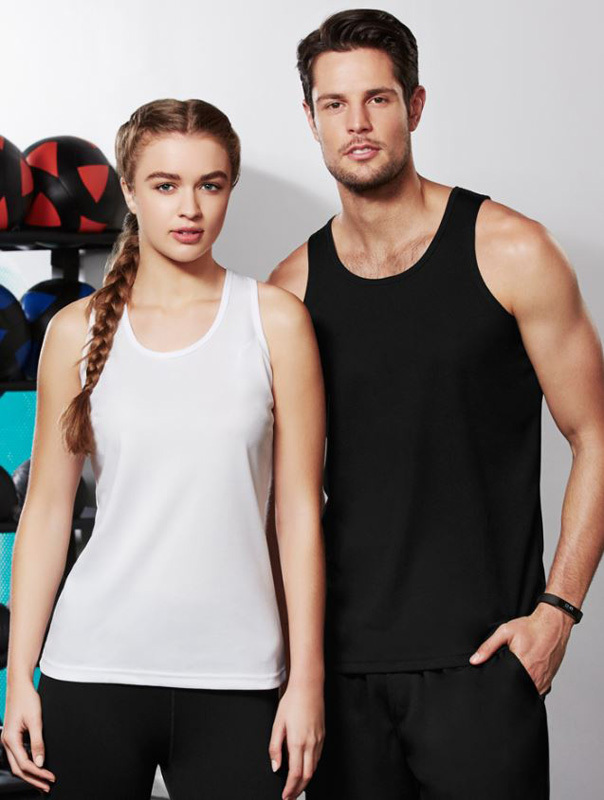 Perfect for those in the health and fitness industries, or for anyone who engages in a lot of physical activity whilst at work, these cheap CoolDry singlets are a great addition to any business. Available in Adults, Ladies and Kids Sizes. 100% Breathable Polyester Single Jersey Knit. Available In Adults & Kids Sizes 100% Polyester for durability. 140gsm Mesh fabric. 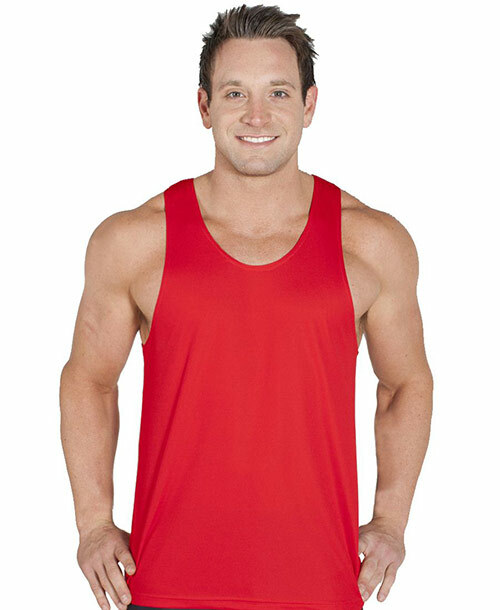 Why Choose Novel Tees for Promotional CoolDry Singlets? 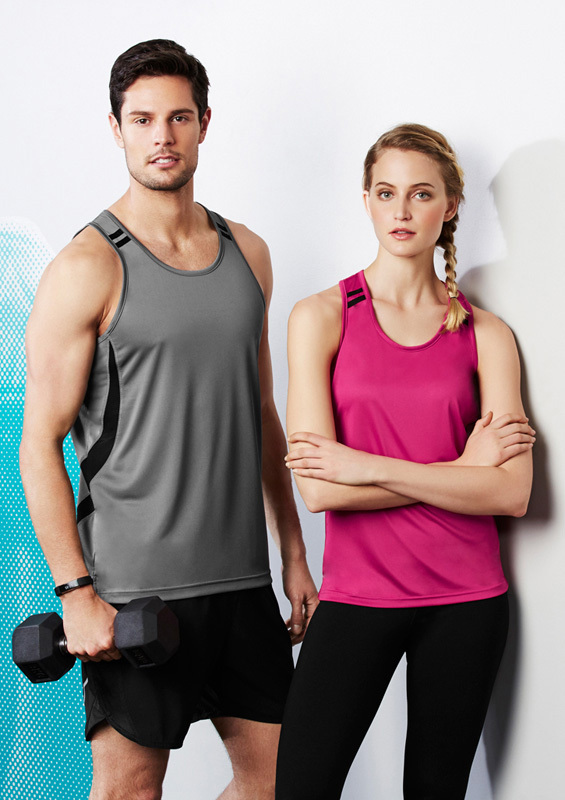 As the experts in printed CoolDry singlets, we know how beneficial they can be for your business, from personal trainers to kids swimming coaches. 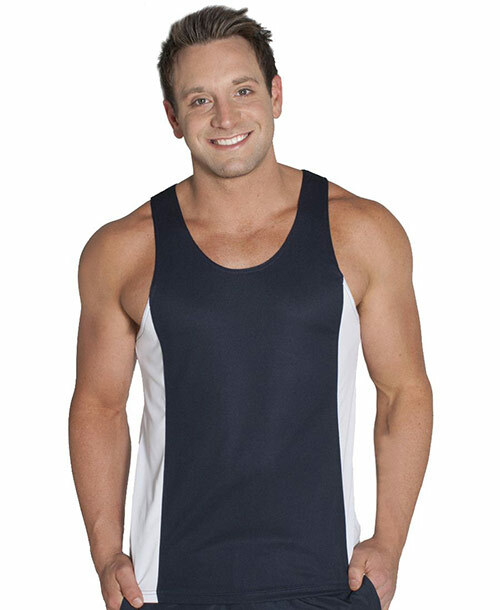 If you’re in an industry where you need to stay physically active and you don’t want your employees to be uncomfortable, you need custom CoolDry singlets. Thanks to our huge range and easy customisation, Novel Tees should be your number one choice for personalised CoolDry singlets. Every business has different needs, which is why Novel Tees stocks a wide range of promo printed CoolDry singlets for you to choose from. No matter what you’re looking for, from shoe string to wide straps, firm to loose fit, crew neck, v neck and racerbacks, we’ve got you covered. We even have printed CoolDry singlets for women with built in bra inserts, to ensure all members of your team can work out in comfort. It’s critical that your new printed CoolDry singlets help your business stand out from the crowd, which is why we’ve made it easier than ever to customise your new tops. Add your logo, brand name or message to the front or back of your custom printed CoolDry singlets, and choose a colour scheme that complements your other marketing material for an added touch!. Wondering what makes our cheap CoolDry singlets so effective? They are made from an innovative moisture wicking fabric, which draws the sweat away from the skin and toward the top of the material for easy evaporation. 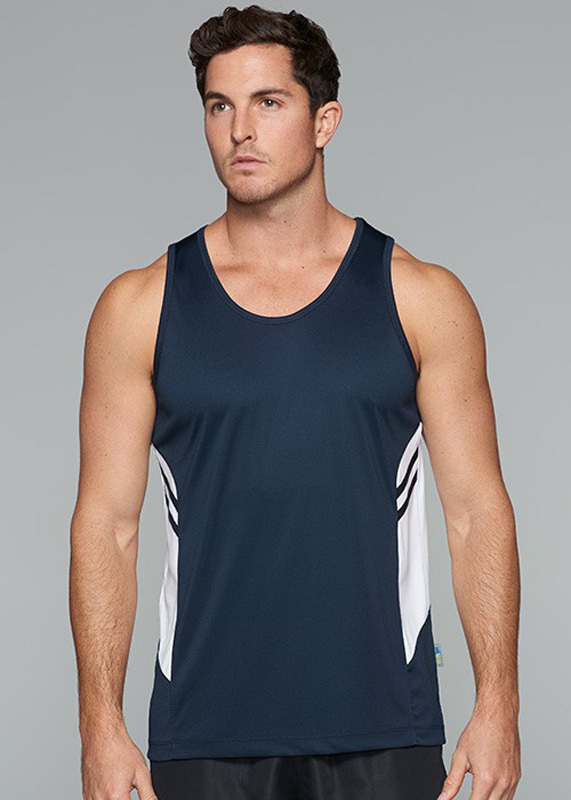 This makes printed CoolDry singlets the perfect choice for anyone in the health and fitness industry, or for those who want to encourage their team to stay fit and active. 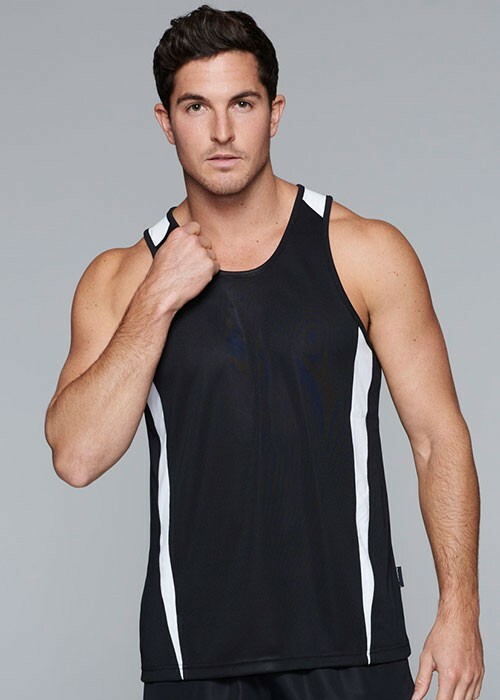 We’re proud to offer our promotional CoolDry singlets New Zealand wide. As we deliver across the country, our cheap CoolDry singlets for men, women and children are available in Northland, Auckland, Hamilton, Wellington, Christchurch – and everywhere in between.